Parasitic gastroenteritis in growing lambs is a significant problem which limits productivity. 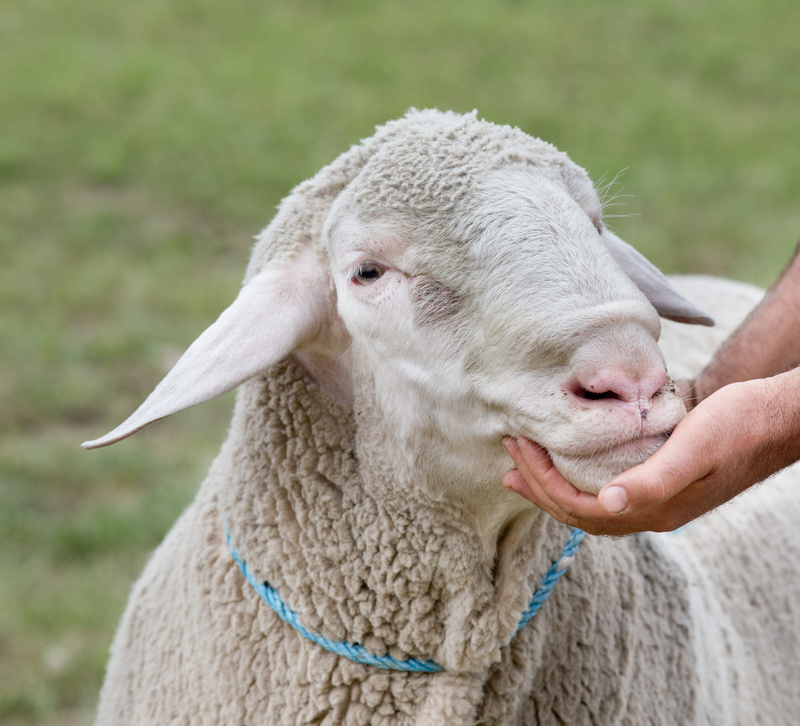 The development of anthelmintic resistance to the traditional treatments (benzimidazoles, imidazothiazoles and macrocyclic lactones) is a cause of growing concern. Therefore, strategies to protect the remaining efficacy of the traditional anthelmintics and to incorporate the newer drug groups into farm parasite prevention controls are of vital importance. One such new anthelmintic, the amino-acetonitrile derivative drug monepantel (4-AD) was introduced into the UK in 2010. The first reports of resistance came two years after its global release. The aim of this study was to assess the efficacy of montepantel using a faecal egg count reduction test (FECRT) and to link the findings to the historical on-farm parasite control programme. The study was carried out on a beef, cattle and sheep farm. The large breeding ewe flock were grazed on a mixture of grassland and forage crops between March and December and were housed over winter. 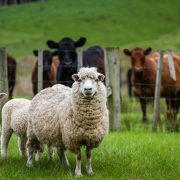 The farms parasite control programme aimed to minimise the requirement for anthelmintic use and attempted to maintain populations of susceptible helminths in refugia, with approximately 10% of the group receiving no anthelmintic at each treatment event. Due to grazing priorities in September 2016, there was a partial breakdown to this programme, when the untreated 10% of lambs were treated with monepantel four days after the rest of the group and moved to ‘relatively clean’ silage aftermath and then moved again ten days later to different ‘relatively clean’ silage aftermath. In 2014 monepantel was used five times, in 2015 and 2016 six times and in 2017 four times. Lamb growth was judged satisfactory until early July 2017 when most lambs became ill thrifty and developed diarrhoea. In mid-July 2017 routine faecal monitoring on a pooled sample from eight lambs showed a faecal strongylid egg count of 800 eggs per gram (epg). A FECRT was carried out on samples collected from ten individually selected lambs. Pre-treatment the mean faecal egg count (FEC) was 229 epg; 14 days after treatment with 2.5 mg/kg bodyweight of monepantel the FEC was 30 epg, an efficacy of 81.4%. In August 2017 a further FECRT was carried out in a different group of lambs. Faeces was collected from 40 lambs; these lambs were divided into four groups of ten. Each group was weighed and orally dosed with one of: 2.5 mg per kg monepantel; 200 μg per kg ivermectin; 7.5 mg per kg levamisole hydrochloride; or 200 μg per kg moxidectin. Faecal samples were collected from all lambs 14 days later when they were again weighed. The remaining faeces from each group of ten lambs were incubated for 14 days to provide third stage larvae for identification. Lambs were weighed at each sampling occasion and a note was made of any faecal staining of the perineum. Two lambs died during the investigation, one ten days after treatment with monepantel and the other several weeks after treatment. Samples of adult nematodes were taken at post mortem. The results of the investigation showed that the FEC in the lambs pre-treatment had an average of over 1500 epg (range 270 to 5049 epg) for all treatments. Post-treatment the mean FECs were 68 epg levamisole, 7 epg ivermectin , 275 epg monepantel and <1 epg moxidectin, giving FEC reductions of 95.7%, 99.6%, 76.7% and 100% respectively. Lambs treated with monepantel had a numerically lower daily live weight gain compared with lambs treated with the other anthelmintics. The FECRT showed resistance to monepantel but not the other three treatments. Analysis of the nematodes present in the post treatment cultures and in the lamb examined postmortem ten days after treatment showed that they were predominantly the Trichostrongylus species. This study reinforces the needed for the responsible use of anthelmintics. It also highlights the need for care when combining anthelmintic treatment with movements to safe grazing. When carrying out FECRTs it is important to be aware of the species of worms present as that will inform the use of anthelmintics on each farm.